A Bengaluru-based techie, Abhay Devdas Nayak is suspected to be an "important part of the Maoist overground network" and also a part of the outlawed outfit's propaganda bureau. In addition, the 34-year-old is also known to be the one writing and sending out press releases for the outfit. In a move that is likely to help officials get hints on several Maoist activities in India, the Chhattisgarh police have managed to arrest a key Maoist operative. Abhay Devdas Nayak alias Lodda, who is suspected to be a spokesperson of the outfit, was arrested from the immigration counter of the Delhi airport on June 1, the police said on Tuesday, June 12. 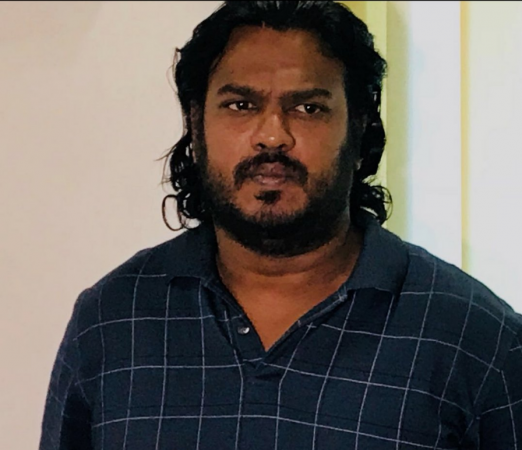 A Bengaluru-based techie, Nayak is suspected to be an "important part of the Maoist overground network" and also a part of the outlawed outfit's propaganda bureau. In addition, the 34-year-old is also known to be the one writing and sending out press releases for the outfit. "Abhay, who was under the scanner of the Bastar police and the State Intelligence Branch (SIB) for the last one-and-a-half years, was rounded up from Delhi airport on June 1," Vivekananda Sinha, Inspector General (IG) of Police (Bastar range) told Press Trust of India. Nayak was taken to Bastar in Chhattisgarh immediately after the arrest and will be produced in court on Wednesday, June 13. Nayak has been quite a menace to the police and the Bastar department had issued a look-out notice against him in May 2017. The police have also searched his residence in Bengaluru and have found several clues of his activities. After seizing laptops, pen drives, a hard disk, Maoist literature and a few diaries, the police came to know that he had travelled to over 15 countries and had links with several global agencies. "He was in touch via e-mails with alleged over ground Maoist cadres such as JNU alumnus Rona Wilson and retired Nagpur University professor Soma Sen, who were recently arrested by the Pune Police in connection with the Bhima Koregaon violence that took place in January. "He was also in touch with former Delhi University Professor G N Saibaba and Maoist leaders like Gudsa Usendi, Vikalp (Dandakarnya Special Zonal Committee), Sashi Patnaik from Odisha and others," Sinha added. Since Nayak is a techie, he is known to have a good hold on social media and often propagated ideas and promoted and wrote articles on the ideology. "He had been using social media platforms to attract the youth towards the outlawed outfit through his anti-national, anti-government and anti-police posts," Sinha revealed. Nayak completed school in Bengaluru and went on to get a degree in BBA between 2002 and 2005 from Bangalore University. The 34-year-old also holds a Master in Psychology from Annamalai University through distance learning. Nayak is also said to have taken up several other courses on stock trading, stock trading, website design, HTML and Digital Marketing. He then wrote business and finance articles on a website and and also worked in a few financial institutions in the city, which the police believe was a way "to hide his illegal activities." Speaking of how Nayak ended up joining the outfit, the press release issued by the police revealed that it was after CPI (Maoist)'s Karnataka State Secretary Saket Rajan died. "After Rajan's death in 2005, and shutting down of People's March, to solidify the movement, Nayak began naxal.revolution.blogspot.com," the release said. "Given his technical expertise, he was given responsibility of propaganda wing and issued press releases first in the name of Azad and then Abhay, where it seems like he signed himself. We are investigating whether the signatures match." However, Nayak is reportedly adamant that he doesn't work with the Maoists and speaking to the media on June 12, Nayak said that he was just a reporter who wrote about the Maoists. "Main ek website chaapta tha, uspe main news daalta tha," (I used to run a website and wrote news articles for it) he told the media. Meanwhile, his father Devdas Damodar Nayak defended his son and told the IE that the techie is innocent. "He is a freelance journalist. We do not want to say much right now. Our lawyer is finding out about the case."